He gained the title of 2nd Viscount Montagu. [S6] G.E. Cokayne; with Vicary Gibbs, H.A. Doubleday, Geoffrey H. White, Duncan Warrand and Lord Howard de Walden, editors, The Complete Peerage of England, Scotland, Ireland, Great Britain and the United Kingdom, Extant, Extinct or Dormant, new ed., 13 volumes in 14 (1910-1959; reprint in 6 volumes, Gloucester, U.K.: Alan Sutton Publishing, 2000), volume IX, page 100. Hereinafter cited as The Complete Peerage. [S6] Cokayne, and others, The Complete Peerage, volume X, page 507. Hon. Jane Savage was the daughter of Thomas Savage, 1st Viscount Savage of Rocksavage.1 She married John Paulet, 5th Marquess of Winchester, son of William Paulet, 4th Marquess of Winchester and Lady Lucy Cecil, on 18 December 1622. Her married name became Paulett. Honora de Burgh was the daughter of Richard Bourke, 4th Earl of Clanricarde and Frances Walsingham.2,1 She married, firstly, Garratt McCoghlan, son of Sir John McCoghlan.3 She married, secondly, John Paulet, 5th Marquess of Winchester, son of William Paulet, 4th Marquess of Winchester and Lady Lucy Cecil, circa 4 October 1633. 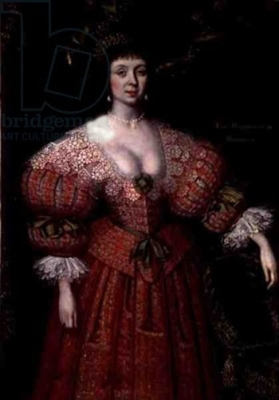 She died on 10 March 1661. Her married name became McCoghlan.3 From circa 4 October 1633, her married name became Paulet. [S6] Cokayne, and others, The Complete Peerage, volume III, page 231. [S6] Cokayne, and others, The Complete Peerage, volume II, page 251. Isabella Howard was the daughter of William Howard, 1st and last Viscount Stafford and Mary Stafford, Countess of Stafford.2 She married John Paulet, 5th Marquess of Winchester, son of William Paulet, 4th Marquess of Winchester and Lady Lucy Cecil, in 1669. She died on 5 September 1691, without issue.1 She was buried on 5 September 1691. [S6] Cokayne, and others, The Complete Peerage, volume XI, page 549. [S6] Cokayne, and others, The Complete Peerage, volume XI, page 551. [S6] G.E. Cokayne; with Vicary Gibbs, H.A. Doubleday, Geoffrey H. White, Duncan Warrand and Lord Howard de Walden, editors, The Complete Peerage of England, Scotland, Ireland, Great Britain and the United Kingdom, Extant, Extinct or Dormant, new ed., 13 volumes in 14 (1910-1959; reprint in 6 volumes, Gloucester, U.K.: Alan Sutton Publishing, 2000), volume II, page 211. Hereinafter cited as The Complete Peerage. [S6] Cokayne, and others, The Complete Peerage, volume IX, page 60.